While some quests are simple linear tasks that don't require much help to complete, other's aren't so friendly. 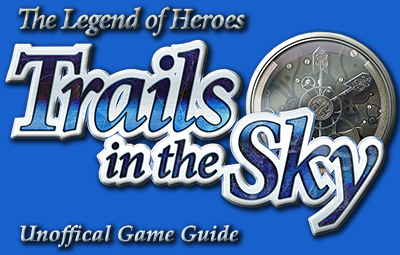 Here you will find information on every job and quest that you can complete in Trails in the Sky. The Prologue quests follow Estelle and Joshua's beginning adventure as they prove that they are worthy of the title "Bracer." Although, as they progress through their training and quests left from their father, they stumble across a nefarious plot to steal something extremely valuable. The first chapter brings the young bracers chasing after clues of their missing father in Bose, where they encounter the same criminal organization from Rolent.